Nina Ricci’s extreme refinement and dramatic movements reflect the type of foal we want to produce at Maplewood, one of extreme beauty and capable of achieving performance honors at the highest levels. 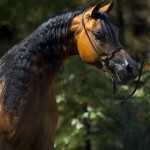 This mare is an ideal cross for producing English Pleasure type. She combines the best of her sire and dam with her captivating elegance, the mystic of dark features, and an impeccable pedigree of champions. She is the last daughter of BOH Romance, Maplewood’s premier broodmare for many years, considered by many to be the most beautiful daughter of Negatraz. An aristocrat dam of champions, her best produce includes US Top Ten Revelry and Regional Top Five Rockette MF. 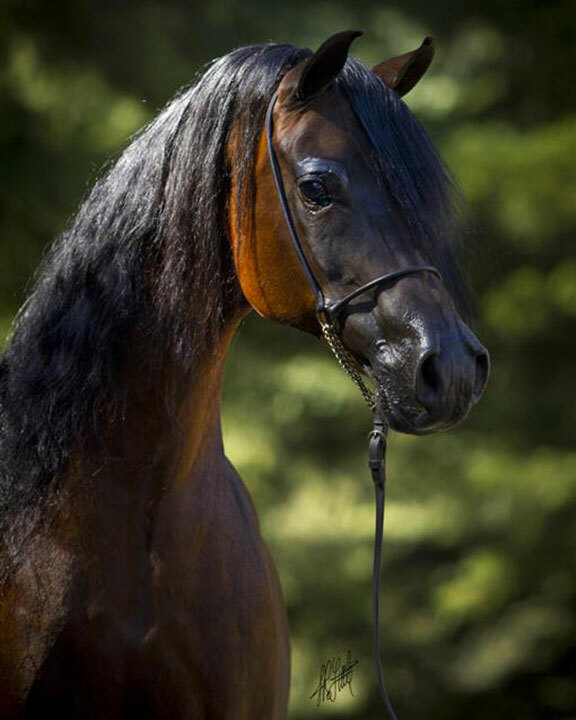 Nina Ricci’s sire, Hallelujah Bey+//, was a multi-National performance champion in English Pleasure, Country Pleasure, Pleasure Driving and Native Costume. This entry was posted in Mares and tagged progeny on October 15, 2013 by Anita Enander.